Gemma and her gorgeous family have ventured round Italy and loved it, but their hearts are well and truly rooted in beautiful Yorkshire. Read all about it here..
We spent our Summer just gone on our coach trip in Italy with our 4 children Bradley, 10, Summer 8, Ruby 6 and Kylo 18 months. We toured around Pisa, Rome and Florence seeing the beautiful tourist places like the Coliseum, Vatican City, the Michelangelo Statue and the breath taking views over Florence. We tried some delicious Ice cream, gorged on Pizza and Pasta and burnt so many calories walking in the glorious 40 degree sunshine. I won't lie it was a long way from Yorkshire on the coach however we had many activities to amuse the kids such as Wordsearch books, reading books, activity packs with colouring pencils, tablets, pencils and writing books so the older kids could write about their trips and then we had a few cars and an essential dummy and biscuits for the baby. Luckily there were quite a few stops to stretch our legs and we did travel over the Gothard Pass in Switzerland that was scary (I am afraid of heights) but also has beautiful views. It seems wherever we went there was great scenery to look at and something to explore so that kept us going through the whole trip. So that was our Summer but this is not what I want to talk about. I want to tell you what there is in Yorkshire, my home town. Which is a lovely friendly town, well most of the time! So what can I say about Yorkshire - We don't get the weather even in Summer, however we have a few days here and there of sunshine and you don't always need a coat. We have North Yorkshire, probably the posh end where there is the beautiful spa town of Harrogate and the City of York. East Yorkshire which covers Bridlington, Scarborough and the Coastal towns. West Yorkshire includes our main town of Leeds and also where I live Wakefield, home to the Hepworth art gallery, a popular landmark and also the Yorkshire Sculpture park. Leeds is a hubbub of shops, bars and restaurants and you can easily spend a full day browsing in the town centre. They have a few large shopping centres, a market, a town hall, bowling for the kids and there is always something going on. If you venture a little out of the city you will find the Thackray medical Museum which is great for learning about the human body as well as Royal Armouries which is great for history and information. If you enjoy your soaps we also have the Emmerdale Studio tour in Leeds that you can visit to have a guided show around the sets of the popular TV soap. Huddersfield in West Yorkshire has a child friendly museum called Eureka that has everything in miniature so the kids can go into a Bank or a supermarket and everything is child size even the trolleys and the tills so it is like a real life small world, which is great for learning and interacting. It is the best hands on attraction for the kids. In Bradford we also have a National Media museum that shows the latest 3D and 4D films as well as classic and picture house style films, they also have a creative area where you can get hands on and practise the filming and learn about TV and films from days gone by. They usually have artistic and media attractions as well at different times of the year, and once you have done there they have an Ice skating rink behind which has a family session usually daily. Sheffield is the city for South Yorkshire where you can visit Magna, which is a National science museum that hosts a fabulous outdoor play area and great hands on activities. They also have a large shopping centre called Meadowhall. If you venture further towards the west you will find Barnsley that has Cannon Hall Farm, Wentworth castle and Metrodome which is an indoor water play area, swimming pools and slides galore as well as a bowling alley. 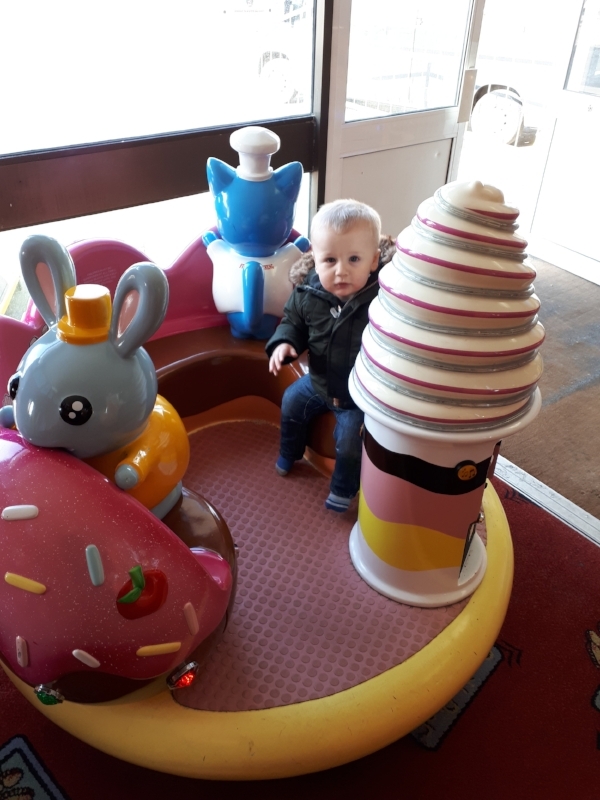 We love going to the farm as the kids love all animals and they also get to explore the house and gardens and enjoy soft play, it really is a full day out. They also usually have attractions on at weekends or in school holidays. York is home to the York Pass, a family attraction pass you can buy to save money touring the city. If you are going for a weekend and you buy this family pass you can explore many attractions like the York Dungeon, York Castle, Jorvik Viking Centre, The chocolate story and many other attractions. The centre is also home to the National Railway Museum which is free to enter, however donations are welcomed. The dungeon we can highly recommend as more of a funny experience than a scary one. The chocolate story is great as you get to try chocolate and the kids and adults can make their own lollipops. You can also park and ride into York so you don't have to drive into the town as it can get rather busy. If you love your shops York also has an outlet for those fashion bargains, with a kids play area to let them burn off steam. Out of the York centre there is Piglets Farm and adventure park where you can also easily spend a day in the summer with a picnic, they have tractor rides for the kids, a large bouncing pillow, a big family maze, ride on toys and many other attractions to keep the kids busy and we paid around £40 for the family for a full day. If theme parks are your thing then head to Lightwater Valley and ride the longest rollercoaster 'the ultimate'. We love lightwater valley as they have many offers on through the year and they have a huge range of rides to suit everyone any age. You can easily pack up a picnic for £10 and then have a nice family day out for around £60. The coast is one of the best things about East Yorkshire. They have Filey which is a smaller seaside town, better for the people who want to visit a beach and relax, walk the dogs or just explore the events going on along the promenade, we went when there was a food festival on so there was something to see walking down the front. They also have a few arcades to entertain the kids but it is very hilly for those with pushchairs or wheelchairs. Bridlington is a great seaside town, much of the front has just been redeveloped and they have a host of rides along the front, theme park style. They have pirate ship boat rides and longer boat rides leaving daily, you can walk along the beach and make sandcastles throughout the year. They have quite a few more arcades along the front and a whole host of fish and chip restaurants. It is also worth having a little drive to the John Bull rock factory so the kids can make their own rock. Near the rock factory they have a car boot sale that is huge throughout the year so worthwhile checking when that is on and they have rides for the kids at the car boot. I hope you enjoyed reading about all the great things to do in Yorkshire. Want to read more posts on parenting and lifestyle?